Many of you will have seen Channel 5's "Restless Legs Syndrome: Desperate for Help" in April 2017. Following its transmission, we fed your feedback to Channel 5 and the production company. A new programme "Restless Legs Syndrome: The new Cure?" will be aired on Wednesday, 6th March at 9pm on Channel 5. As we are sure you will appreciate, we are uncomfortable with the title as there is NO cure for RLS. However, we have no control over the title which Channel 5 have assigned to the programme. RLS-UK was invited to participate in the production of the programme but we declined, primarily because we were told we would have no influence on the content or tone of the programme. The title "The New Cure?' validates this decision as we would never have supported the inference that there may be a cure for RLS. The last programme was watched by over 750,000 people and we saw a surge in enquiries and visits to our website, which meant a lot of people who had struggled with RLS finally found help. This was a significant positive of the last programme and we hope to see the same when this new programme is transmitted. We look forward to sharing your feedback with Channel 5 and the production company. He's a boy. He gets distracted easily. He's emotionally sensitive. These are the excuses Courtney Waltz would tell herself when she tried to understand her son, Shane, and his behavior. Too often, she would see his sweet nature disappear as he would get frustrated and melt down. One day, his teacher sent home a video she took during nap time on her phone. The video showed Shane repeatedly moving his legs and then hitting himself on the head as he slept. "It kinda freaked me out," Waltz said. "After I saw that, I started to pay a little more attention to what was going on at night, and it wasn't normal." Waltz took Shane to the doctor and explained what she was seeing night after night. "He was kicking himself awake, there were periods of time where he just did not stop moving," she said. Dr. Ameet Daftary, a sleep specialist, ordered a sleep study. It revealed sleep fragmentation, restlessness during sleep and a lot of leg movement. Dr. Daftary diagnosed Shane with restless leg syndrome after reviewing the study and listening to Shane describe how his legs moved. "He did not have sleep apnea. But what is interesting is he... complained about leg pain which is not something that a lot of 5-year-olds actually do, so that really helped us get to his diagnosis." Shane told him his legs felt itchy and that scratching didn't help. Dr. Daftary said the syndrome often runs in families and a majority of patients report having at least one affected first-degree relative. Shane now shares the diagnosis with his father. "My legs get tired, and they get sore. I feel like something has bitten me; for some reason they are itching all over the place," Shane said. Dr. Daftary said restless leg syndrome is more common in men than women. "It's an irresistible urge to move the legs. It's present in about two to six percent of the population of children and much higher in adults. It can be expressed as creepy crawlies in the legs, ouchies, owies, hot and cold sensations, my legs can't stop, even growing leg pains. These are all the common terms that children use to describe their symptoms," Dr. Daftary said. He said the movement disrupts sleep and that impacts what happens during the day at work and school. Shane feels it. "I try to focus on my work, and then I feel tired," Shane said. Doctors said behavior issues are frequently reported in children with sleep disorders. "That can manifest with just moodiness, crankiness, irritability, but it can also be in the form of attention deficit problems and sometimes school under performance. The teachers don't know that the child is not sleeping well," Dr. Daftary said. "Poor sleep quality is...a big deal because many children have actively growing brains all the way up to age 21, and so you have poor sleep quality during the phase when your brain is actively developing. We do know that several studies that have shown sub-optimal cognitive performance in these children as compared to children who don't have sleep disturbances. You could potentially permanently be setting these kids up for some kind of sub-optimal performance for the rest of their lives," he said. Once Waltz learned that some of Shane's disruptive behaviors were linked to sleep, she felt she could be a more compassionate mother and focus on the fix. "A lot of the issues that he was having hyperactivity and then oversensitivity. He would bump his knee and then it would become this gigantic meltdown. It turns out that was all because of the sleep. I thought this was a personality thing and it was, he was severely sleep deprived," Waltz said. Doctors said it's common for patients diagnosed with restless leg syndrome to have abnormal iron levels and adding iron can alleviate symptoms. "We can actually treat with iron supplementation, which tends to be very effective," Dr. Daftary said. "It works in almost 80 percent of children." Shane first took oral iron supplements, and now he gets iron infusions. "He is one of the class patients where as long as his iron levels are maintained adequately, his symptoms go away," Dr. Daftary said. "Shane had sleep walking. Shane had poor sleep quality. Shane had a lot of leg discomfort, bed wetting, all of these were significant factors impacting his quality of life. All of these factors significantly improved once we started treating him." The doctor said parents play a key role in getting a diagnosis, adding sleep is not a standard screening question pediatricians will ask during a well-child visit. "Unless the family brings this up, this may actually be a significant quality of life issue that may not be addressed," he said. Nights and days now are much better for Shane. With treatment, his iron levels are stabilizing, and Waltz wishes she would have sought help sooner. "My suggestion would be, if you are seeing something that doesn't feel right, or doesn't seem right, you need to talk to somebody," she said. "I can own that I let this go for too long." The Neurological Alliance have launched their 2019 patient experience for patients living in England. The purpose of the survey is to provide information which can help the Neurological Alliance monitor and improve the future quality of health services and social care for people with neurological conditions. If you live with RLS and are a resident of England, you can complete the survey via the link below. Our 2018 Annual General Meeting took place on Saturday, 1st September at the National Council for Voluntary Organisations (NCVO). 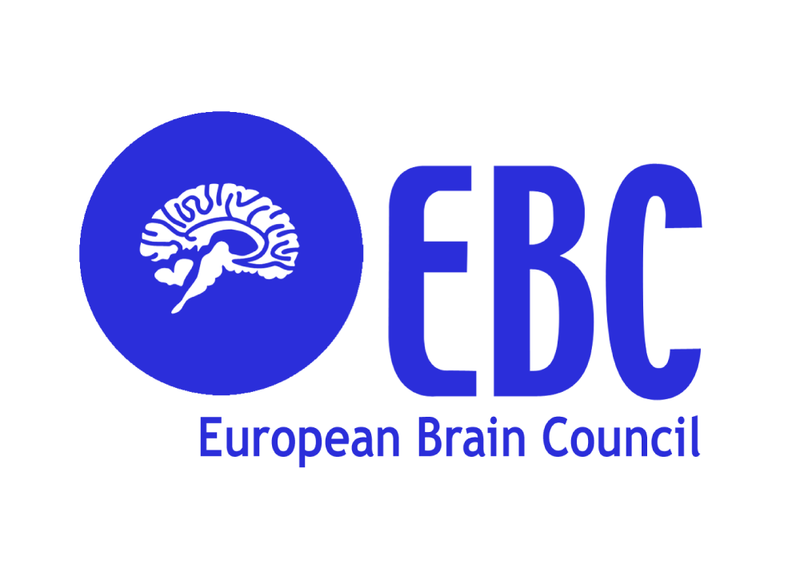 A new report from the European Brain Council reveals poor diagnosis and treatment of Restless Legs Syndrome which makes it one of the most costly neurological disorders in Europe. Restless Legs Syndrome (RLS) is a serious neurological disorder which has a high prevalence but is very often not recognized or even diagnosed as a disease, leading to delayed diagnosis and/or wrong treatment. This, in turn, brings unnecessary suffering to patients, a significant cost to healthcare budgets in Europe and costs to wider society. Frequently, RLS is not diagnosed due to lack of knowledge among healthcare professionals, and patients are left with no option but to suffer. Equally concerning is the frequency of misdiagnosis, where patients are prescribed incorrect and inappropriate therapies. The Value of Treatment for Brain Disorders in Europe study, conducted by the European Brain Council (EBC), the European Academy of Neurology (EAN), the European RLS Patients Alliance (EARLS) and the European RLS Study Group (EURLSSG), in consultation with a team of researchers and experts from the London School of Economics, discovered that the treatment gap for RLS is very high. The total cost of poor diagnosis and treatment of RLS in the countries analysed (Germany, Italy and France) is significantly higher than the combined cost of Parkinson’s disease, Multiple Sclerosis and Epilepsy in these countries, partially due to the high prevalence of RLS. The report highlights the importance of early detection and intervention, and the urgent need for proper education of healthcare professionals about RLS. The report also highlights the need for research into the cause(s) of RLS and for new treatment pathways to be identified to reduce patient suffering. The European Union spends just over three euro per year, per patient, on brain research, and access to treatment in many member states is getting worse, not better. According to an analysis carried on in 2010, neurological and mental disorders affect 165 million Europeans, with an overall cost of about €800 billion per ar. The Value of Treatment for Brain disorders in Europe study covered a range of mental and neurological disorders among which Schizophrenia, Alzheimer’s disease, Headache, Multiple Sclerosis, Normal Pressure Hydrocephalus, Stroke, Parkinson’s disease, Epilepsy and Restless Legs Syndrome, and highlighted the full cost of unmet healthcare needs, recommending new investment in research, earlier detections and interventions and better treatment for neurological disorders. Restless legs syndrome (RLS) augmentation is a formidable foe. It describes a not-uncommon phenomenon in which—after weeks, months, or years of a patient’s RLS (also known by the newer name of Willis-Ekbom disease) being well controlled by a dopamine drug—the symptoms become more intense, take less time to occur when at rest, manifest earlier in the day, return more quickly after taking therapeutic medication, and may spread to other parts of the body. This article, written by Dr. Mark Buchfuhrer, is one of the best we have read! The purpose of this online survey is to gather information from women suffering from Restless Legs Syndrome (RLS) during pregnancy (current or past pregnancy) that will help us shape an intervention to help them reduce their symptoms and improve their quality of life during and after pregnancy. RLS affects approximately one in three pregnant women in western countries, with a negative impact on sleep and quality of life. It is also linked to postpartum depression which can have harmful consequences for both mother and child. This project aims to support the development of a new research application and to lead to the acquisition of data that could help us improve the management of RLS in a population for which the use of pharmacological agents should be avoided. Your participation in this online survey is voluntary and anonymous. In order to participate, you need to read and click the consent button. Findings from the study will be reported, disseminated and made available to the participants via the RLS-UK website and social media platforms linked to the project. It is intended that this work will be published in a peer-reviewed journal, however key findings will be made available to participants regardless of publication through the RLS-UK charity's website and Facebook page. are you visiting our website for the First time? You may have seen a programme about RLS on tv. Perhaps you just found us and you're looking for more information about RLS. The Neurological Alliance is conducting a survey on RLS. If you live in England it’s really important that you take part. Click on this link to read more and to take part. The European Alliance for RLS is conducting a survey on RLS. They’ve had over 1,100 responses from the UK but they need more. Click here to be brought to their survey. Is there a link between iron levels and RLS? PLMD: Do your limb's 'Jerk' and move involuntary? Raise money for RLS-UK - just by shopping online. Your regular online shop could raise money for people affected by RLS & PLMD without costing you an extra penny! Marisa first shared her story in 2012 - I have had RLS since I was 19 years old and my mother and gran had it too.